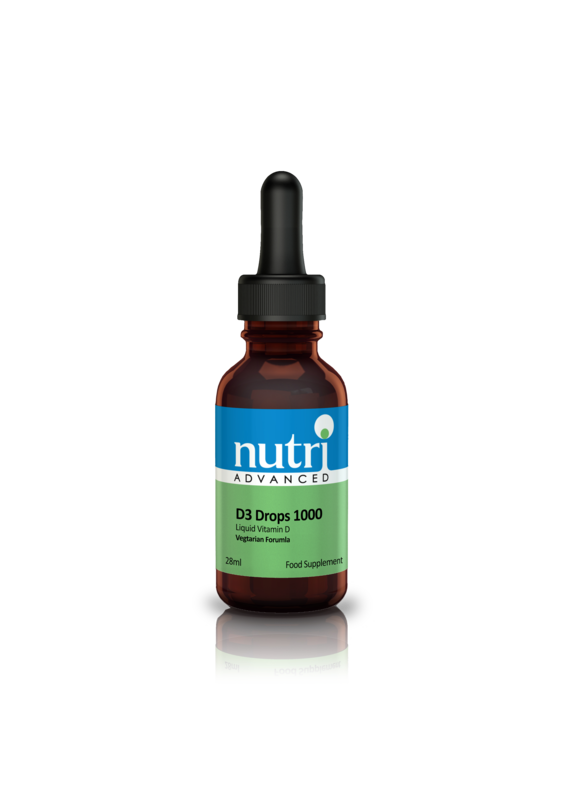 Nutri D3 Drops 1000™ is a powerful new vitamin D formula. A single strawberry flavoured drop will provide 1000iu of the preferred form of vitamin D, cholecalciferol. D3 Drops 1000™ is a powerful new vitamin D nutritional supplement formula from Nutri Ltd. A single strawberry flavoured drop will provide 1000iu of the preferred form of vitamin D, cholecalciferol. Current research suggests that vitamin D may be able to support immune function, healthy inflammatory pathways, prostate health, bone density, and hair, skin and nail health. D3 Drops 1000 is a liquid vitamin D formula that allows convenient, flexible dosing. Each single drop provides 1000 IU of the preferred form of vitamin D, cholecalciferol. 1-5 drops daily. Can be mixed into water or juice as desired.